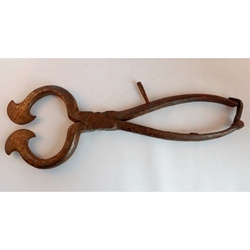 Description: 10 inches long, one handle would have had a spring to keep handles apart so it looks like this was used possibly for crimping. The spade like ends have a gap of 5mm when closed. There is a fixed metal pin to the outside of the non-spring handle. Status Comments: Sugar nips, identified after a visit to Lady Waterford Hall. 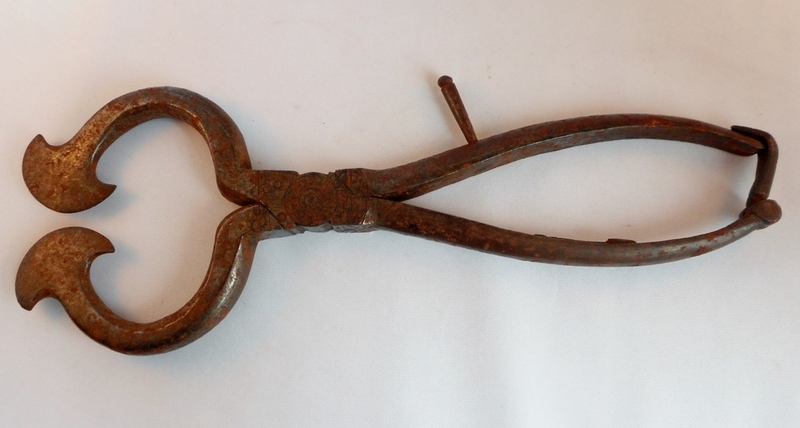 Used for cutting chunks of sugar from a sugar loaf.